The People's Army led by Michel stands against Vetti's newly founded empire. Upon seeing how strong the Glass Battleship is, Michel tries to get Cleo, the captain of the Glass Battleship, to help People's Army overthrow Vetti's empire. And together they fight against Vetti's empire. 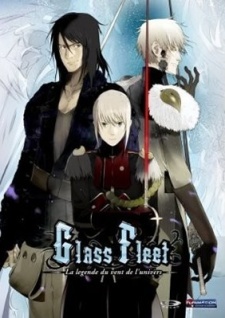 Watch Glass Fleet Episodes Online at Animegg.org. Glass Fleet is available in High Definition only through Animegg.org. Choose an episode below and start watching Glass Fleet in Subbed & Dubbed HD now.